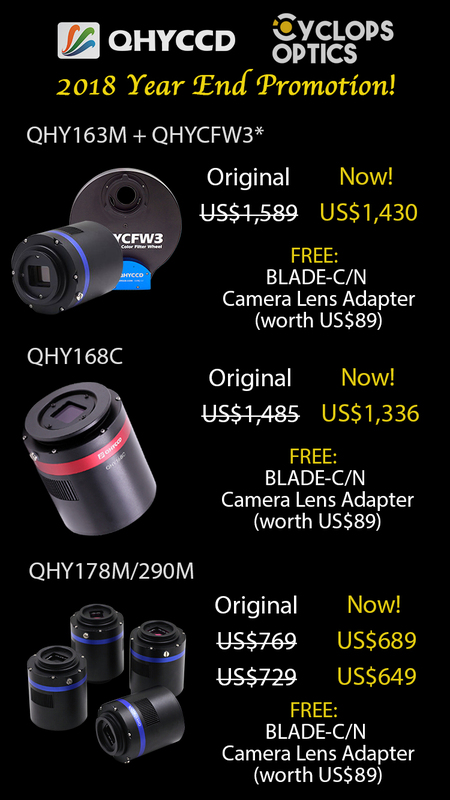 Far and away a superior lens adapter. I've tried a couple others from other brands and the lens does not lock in place. Not so with this one. It locks in SECURELY, so much so that it's actually kind of hard to get off once it's in place. Exactly as it should be! I am very happy with this and highly recommend it for using your lenses with your astro camera. 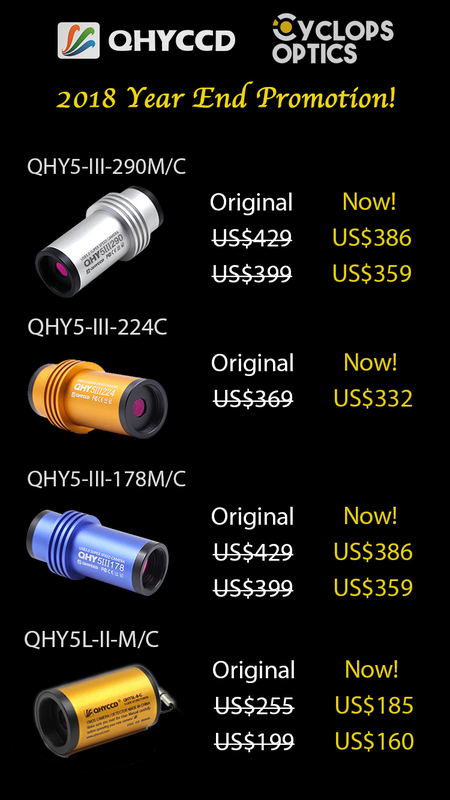 *This special offer also applies to the rest of the QHY COLDMOS cameras. You could choose to have your name or your loved ones' (as many as 20 characters) engraved on the BLADE-C or BLADE-N Adapter free of charge. Please state your requirement in the comment section when placing the order. Our free international shipping policy also apply for this special occasion. For customers requiring faster deliveries, we also provide heavily subsidized premium courier delivery such as FedEx. Order now and Shipping starts 23 November 2018!